Girly Legos Are Officially a Success. Now What? 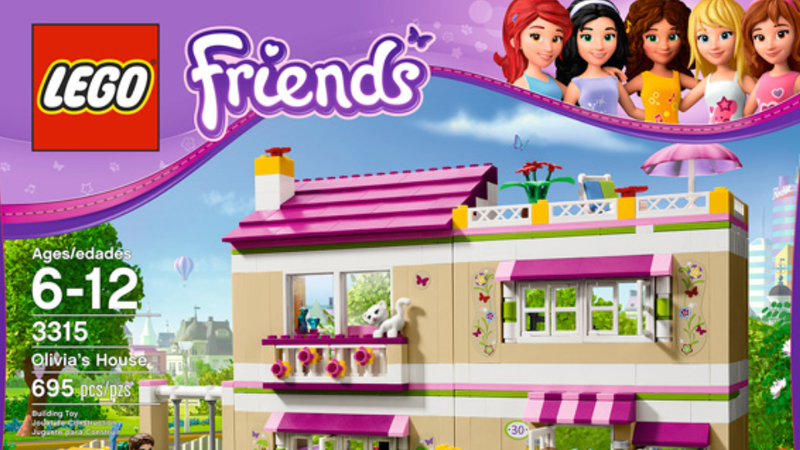 We already knew that sales of Lego Friends — the company's uber-girly and uber-controversial series, which offers, among other gendered features, a "Butterfly Beauty Shop" and a a fashion designer workshop in what Anita Sarkeesian once called a "pastel-colored, gender-segregated, stereotypically female suburban paradise" — started off high. But now that it's been six months since girls around the world got the chance to save sick Lego puppies and groom with mini Lego blow dryers, we know exactly how successful the toys are: too successful for our liking. According to the company, Lego's first-half profits jumped 35 percent. Lego also sold twice as many Lego Friends sets as expected during the first six months of the year. So, now what? It's a bit of a Catch-22: we can't expect for-profit companies to listen to Spark petitions (or, in the case of Bic for Her, Amazon reviews) if their products are flying off shelves. We were frustrated when Lego said it put "a lot of thought" into the line's development — it's disappointing that after months of research, they determined that girls wanted to shop, tan and bake — but the company's researchers clearly weren't misguided in terms of resonating with their demographic, which is every company's obvious goal. We hate the idea of Lego Friends, too, and we're not saying critics should give up, but don't they need a new strategy if it turns out that most girls (and/or their parents, the ones actually buying the toys) aren't turned off by princessy marketing and products? Maybe the solution is to fund and promote alternative types of toys instead of continuing to try and convince a large, successful company to stop selling a super successful product. That way, kids will have more options — and, hopefully, more parents will become more comfortable passing over obvious "girl" choices and purchasing less gendered toys instead. It seems like we're (slowly) heading in that direction: last week, Harrods opened its first gender-neutral toy department, in which toys are grouped thematically, not by gender. Even if it turns out that your daughter or niece or little sister would rather putter around with a mini beauty salon than a space station or tropical jungle play set, don't fret: there are so many different components that contribute to a child's development, and a few Lego friends whose names all end in A (Lego Friend's characters are named Mia, Emma, Andrea, Stephanie and Olivia, like a particularly obnoxous middle school clique) won't turn a girl into a future Stepford Wife. (More than one Jezebel staffer was a Disney Princess fan, and we've turned out just fine.) As one Amazon reviewer and mother of a five-year-old daughter said of Lego Friend's "Olivia's Tree House," "creating a ‘girl' themed product line in no way forces her into a gender role, limits the possibility of what she can achieve in life nor does it undermine her equality; rather it gives her the option to play with sets that appeal to the girly part of her personality."